We are continually improving our service to provide you with the best products. 80% of our customers recommend our software to their friends. We are proud of our support and always ready to help all licensed and trial customers to configure our software or with any other requests. We've worked for you since 2007. Over 100 thousand customers all over the world chose HT Vector. Satisfaction is guaranteed, or your money is given back. From small businesses to enterprise operations, your team is more productive with HT Vector. HT Parental Controls knows your concerns. Get your computer ally and make parenting easier. 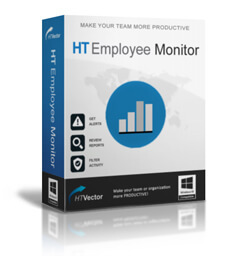 HT Employee Monitor is an easy way to improve employee productivity. It allows you to block all non-work related computer activities - websites, applications, etc. You can block or limit social networking sites, entertainment content, games, and instant messengers. HT Employee Monitor also lets you block all websites except whitelist, so you can allow only web sites from your list and lock any others. Any non-work related activity can be determined and banned. It is the best way to block Facebook in Google Chrome. Remote monitoring and management will help you set up the filters and view logs remotely. Simple to install and use, the program does not require any additional knowledge or equipment. Start using HT Employee Monitor and get the results. 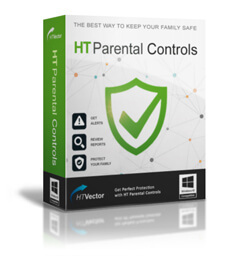 HT Parental Controls compiles all necessary functions for parents to protect and restrict their children on the computer in one easy-to-use program. Filter websites, block applications, control time spent, block games and chats, monitor and track computer activities with HT Parental Controls. It contains the best internet filter and comprehensive monitoring to view visited websites, typed keystrokes, screenshots, and much more. HT Parental Controls provides safe Internet and safe search for your children in all browsers. We created the software to protect your loved ones. Install HT Parental Controls, and it will take care of your child online and offline. HT System Administrator is easy-to-use and effective software to control computer usage. This tool does not need any knowledge to block unwanted activities and to set up your own rules on your computers. The program allows you to block all inappropriate activities such as websites, games, programs, instant messengers, chats, etc. 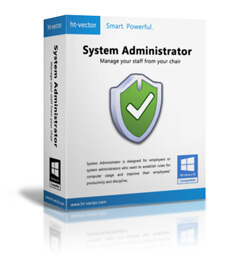 It lets you manage computers remotely from an admin PC on the network so that you can do it from your chair. Reports with logs will show detailed statistics of computer usage to determine and ban time-wasting activities. The tool is also the easiest way to protect a computer against negligent users. Manage your computers in a few clicks with HT System Administrator. Many fairly suppose that social networking sites such as Facebook, YouTube, and Twitter harm productivity. HT Facebook Blocker is the best solution if you want to block the sites or limit the time your employees or children spend on them. HT Facebook Blocker allows you to control computer usage and internet access. It helps you increase productivity by blocking or limiting non-work related activities such as social networking sites, instant messengers, online games, etc. Detail statistics will show how much time users spend on each site or app. 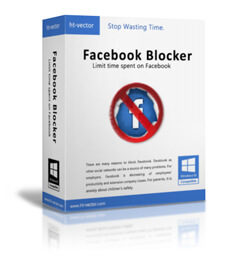 Block distractions easily with HT Facebook Blocker. Download and install on your children's or employee's computer(s). Configure the filters to block any distracting websites and applications. The app runs in the background recording activities and removing distractions. Get a full view of the Internet/computer usage and control users' actions remotely. HT Vector offers secure and straightforward blocking and monitoring software that lets you increase your company's productivity or protect your children online. I purchased your HT System Administrator and loved it. The software is extremely easy-to-use and multifunctional at the same time. Thank you for your product! It greatly helps improve performance and discipline. Only needed the product for one week while we had a teen guest. If I have to get parental controls in the future, this will be the one. It was exactly what I wanted, and it was flexible and simple to use. Excellent one! Need to manage my PCs to block certain activity. The software works very well and has a lot of useful features to monitor and control activities. Your support responsiveness is beyond praise.